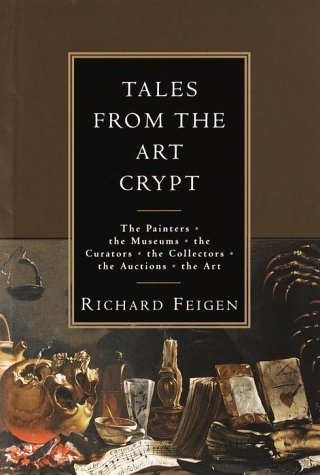 Tales from the Art Crypt - Publications - Richard L. Feigen & Co.
From one of today's most influential art collectors and dealers: a lively, revealing, sometimes blasphemous, always knowing look into the world of art. Richard Feigen's fifty years in the art world have given him a unique perspective on its inhabitants and habits. He writes about the painters he has known and represented (among them James Rosenquist, Jasper Johns, Jean Dubuffet, and Joseph Cornell), and about others whose work he has collected. He writes about his galleries in Chicago and New York City, and about his fellow dealers, including Julien Levy and Leo Castelli. He talks about the "eye" that allows a dealer to recognize a fine painting. He discusses the great art-owning families, art historians, scholars, and conservators. He recounts the story of the debacle at the Barnes Foundation that resulted in the undoing of Albert Barnes's vision for his museum, and reveals the fate of the artworks that belonged to Gertrude Stein. He dissects the art boom of the 1980s and its effects, and takes on the commercialism plaguing American museums today: blockbuster exhibitions and the replacement of great directors with "professional administrators." Feigen has given us an intimate, engrossing portrait of the great art game as it has been played in the twentieth century.